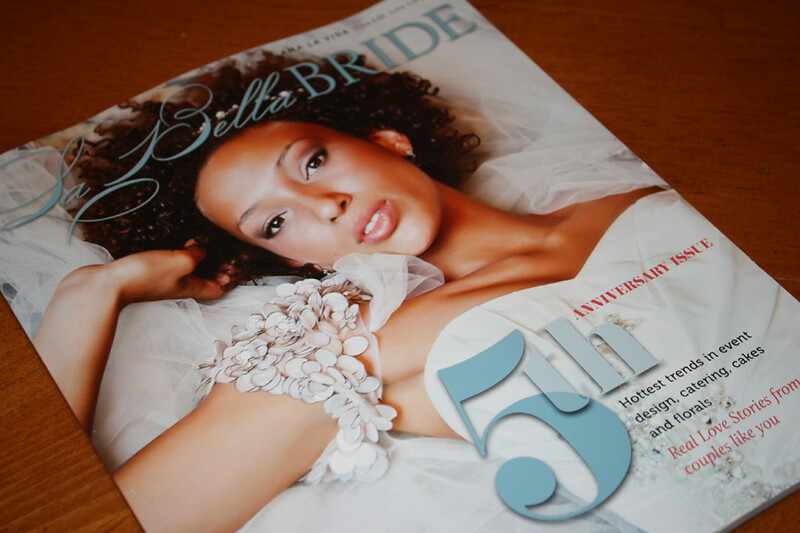 Today, we were thrilled at the arrival of a box full of the 2011 La Bella Bride Magazines! 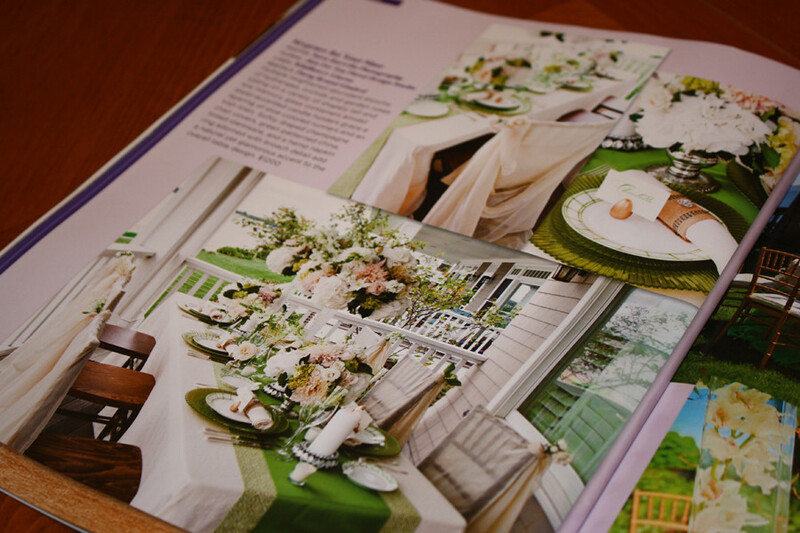 Over the summer we collaborated with Jane from Just for You Weddings to recreate and expand on two client tablescapes for inclusion in this year's issue. With our designs, the gorgeous flowers from Jane, rentals from Party Rental, LTD and Wildflower Linens and picture perfect photography by Sara Zarrella, we couldn't be more pleased to see it in print! Multiple heightened abundant blooms of hydrangea, orchids, and garden roses sitting on a variety of shapely tall and low mercury glass containers admidst jewel-accented candle holders grace a layering of aloe-colored runners and an ivory Irish Linen. Softly draped champagne chair covers, green patterned china, tinted stemware, and a hemp napkin ring, adorned with a broach detail add a natural yet glamourous accent to the overall table design. 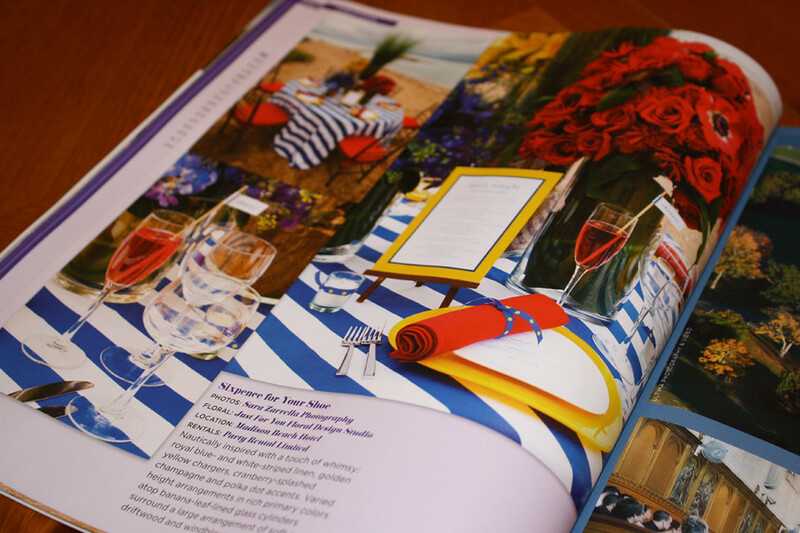 Nautically inspired with a touch of whimpy: royal blue and white striped linen, golden yellow chargers, cranberry-splashed champagne and polka dotted accents. Varied height arrangements in rich colors atop banana-leaf-lined glass cylinders surround a large arrangement of soft sand, driftwood, and wind blown sea grasses.